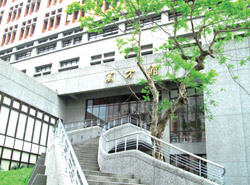 After Taiwan became the 144th Member of the WTO on January 1 2002 and recognizing the importance of WTO research, the WTO Research Center was established at the NTU College of Law in January, 2003 in order to conduct the research on WTO matters more efficiently. The WTO Research Center was transformed into the Asian Center for WTO & International Health Law and Policy (hereinafter ACWH or the Center) in December, 2005 to reflect the broad research scope of the Center. The original focus of the center was only on international trade law. Now it covers three major fields of research and training interests, namely international economic law (mainly WTO and investment), international health law (including the Framework Convention on Tobacco Control and the International Health Regulations), and international arbitration (including commercial and investor-State arbitrations). ACWH is designed to closely monitor the development of WTO rules, conduct in-depth research on the effect of the WTO rules on Taiwan’s economy, and put forth policy proposals. With its limited resources, the center is able to effectively train its students in preparing legal documents and opinions in the fields of international economic and health laws, to host three to four annual conferences each year, to publish two semiannual English academic journals, i.e., the Asian Journal of WTO & Int’l Health Law and Policy (AJWH), which is listed as SSCI journal, and the Contemporary Asia Arbitration Journal (CAAJ), and to provide advisory opinions to government agencies. It has also become a platform for local experts to engage in joint research projects and a forum to conduct interesting dialogues with international scholars.